Come learn how to create your own custom soaps using the simple melt-and-pour method. 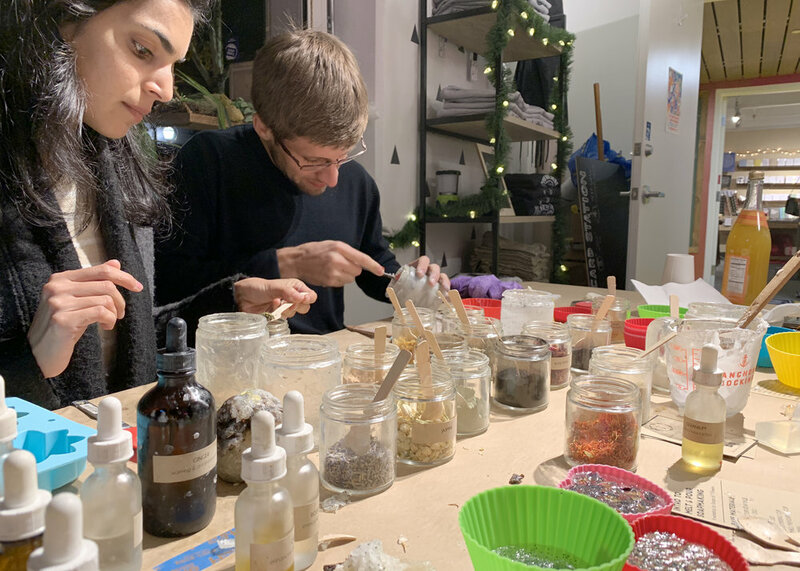 Together we will explore how to use essential oils, dried flowers and herbs to craft your very own unique soap creations. All ages welcome! 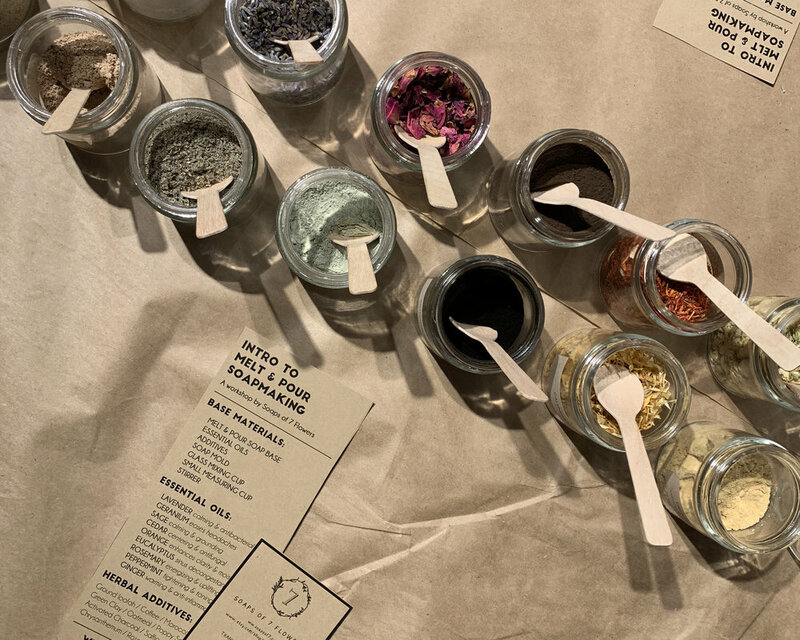 learn about natural ingredients and exfoliants that have wonderful benefits to your skin. If attendees would like to make more soaps at home, there will be beginner soap making kits available for purchase at the event. 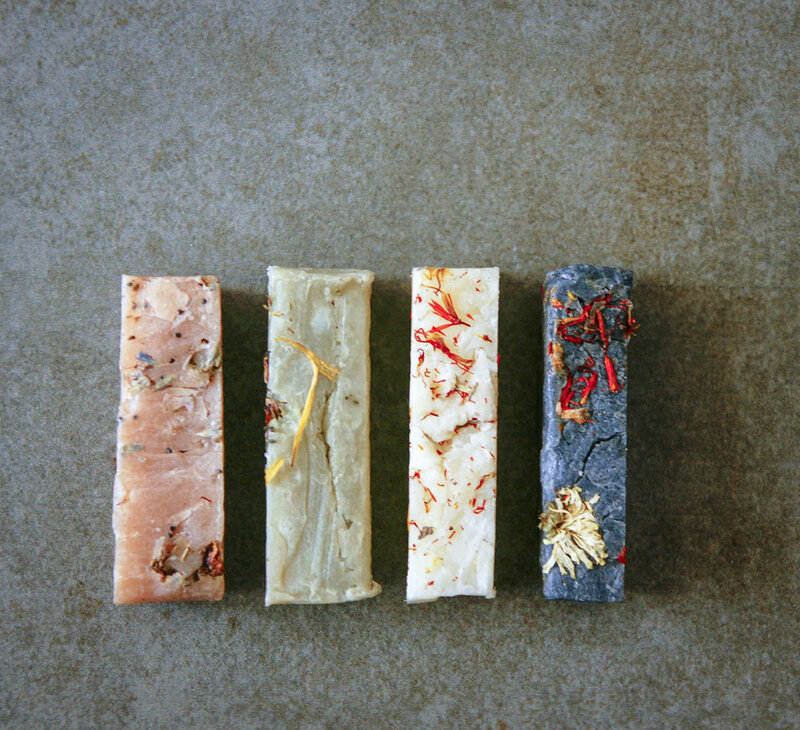 Soaps of 7 Flowers creator, Yeun Byun, started her crafting journey in 2012 teaching classes on soap making at the New York Horticulture Society while working as a floral designer in New York. She had just recently left her art directing career in film/tv to pursue her passion for art, botany and horticulture. Soon she envisioned what it would be like to start a flower farm along with a soap company as a way to share her joy of flowers with a community. 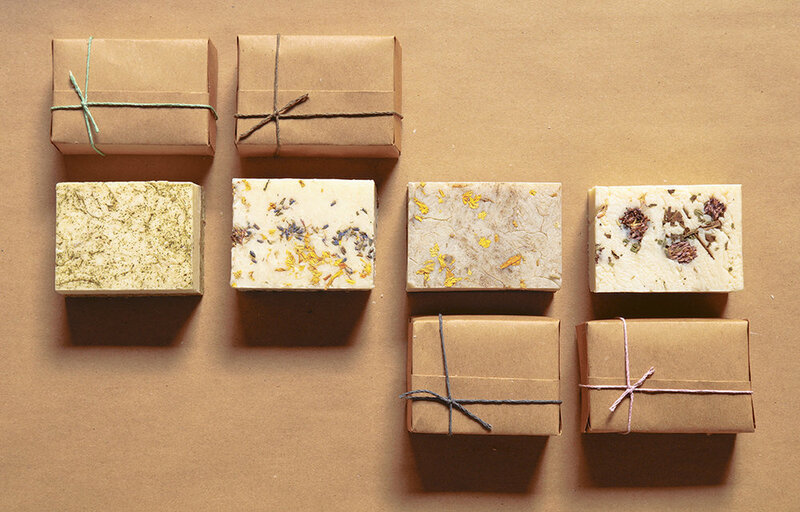 In 2015, after moving to California, she launched Soaps of 7 Flowers, a small-batch, handcrafted soap company now selling at farmer's markets, local retail shops and online. She is most passionate about connecting people to plants and nature and has been teaching a variety of classes on soap making and floral arranging. In addition to Soaps of 7 Flowers, Yeun works as the flower production manager at Spade & Plow Organics where she grows organic flowers year round. She currently resides in Santa Cruz, CA and is in love with the beautiful landscapes and ecosystems that continues to inspire her creativity.